A Webinar is an online meeting or presentation held via the Internet in real time. To put it simply, it is an online event, which connects individuals with viewers across the world. The main feature of live Webinars is interactivity, or the ability to discuss, send and receive information in real time. During an event, you can start polls, invite other participants to act as a presenter, communicate via online chat, share desktop and use a variety of digital materials. 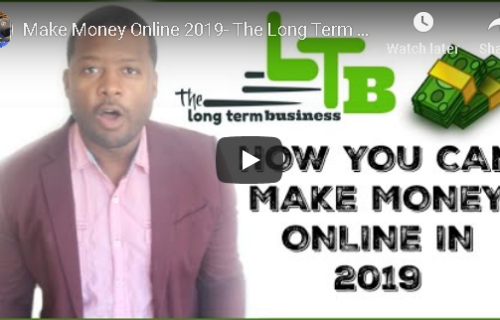 I just want to share with you, the reason why, not just monetary reason but one of the main reason, why you want to learn how to do Webinars, it’s because you can provide a massive amount of value. Value is always gonna be the one thing that you want to lead with, so if you are a newbie you get started with your business, nobody tells you about how to do Webinars, maybe you jump on a Webinar you buy something, and then you don’t realize the process that person got you into the Webinar, to end up getting you to buy something. Now, this is one of the skills and one of the assets that you want to put in your business for yourself because it makes things so much more powerful. The 1st reason why Webinars are so powerful, and allow you to use so much value in a very long period of time than a video, because it’s alive, people can ask you questions, and if they have questions about the product that you’re selling them they don’t have to wait, like if someone put a questions under a youtube video, I might take the day to get back with you, I might even take five days to get back with you, it depends on how busy I am this week or what’s going on inside of my business. 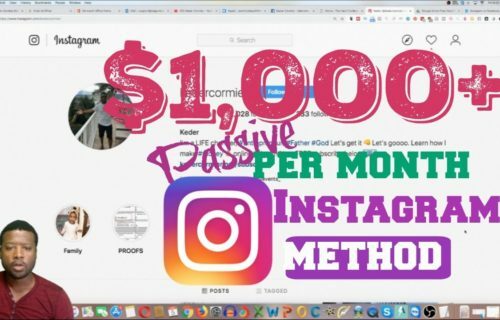 But if you come to a Webinar, and you have a question about a product, then I can tell you immediately like ‘hey this is how you’re gonna get massive leads this is how you gonna convert them’, so it’s much more powerful because it gives you that instant connection with the person. 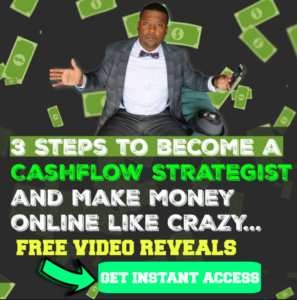 The 2nd thing of Webinar’s gonna do for you, if you learn how to do it to create cash flow in your business it is putting you in a position of authority. Now you might be a newbie or just getting started, you might say “I’m not in authority, I’ve just started doing this thing, can I really do a Webinar?”, yes once you become a teacher, the person that you look as teachers, you know since you were brought up of growing up as kids, we learned to respect our parents, we learn to respect others, why? because we’re learning from those people when we are growing. So it is the same principle we’ve been brought up with, once you in a place of a teacher, it allocates that respect from other people. So once you know how to do certain things or once you have some skills or you have something to share with people, if you’ve taken the time out of your day to put a Webinar together and they come in on the Webinar and you teaching the massive value, guess what, it automatically command that respect and it automatically puts you on a higher ground, kind of put you as a teacher you mean most of the time a teacher is usually on a puppet like a pastor’s really on a puppet teaching to people that actually look up to them so it kind of create that same effect in your customer or your prospects buyer, when they come up to the Webinar you’re teaching them some amazing stuff and you teach them some cool stuff, they learning from you, so, therefore, that puts you in a position of authority and kind of bring your authority in the marketplace. The 3rd reason why you want to learn how to do Webinar one of the most powerful reason is the fact that you can sell a lot faster on a Webinar than anything else. 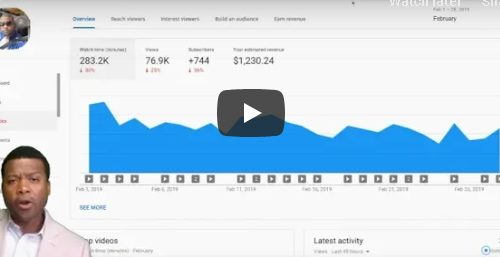 Now with a video, you cannot control what’s going on, but on a Webinar, it increased sales because, as I said, people can actually question about the product they can have concern and you can take care of it right away. If they have any objection you can take care of the objections right away. A matter of fact, if you learn how to do the Webinar, there’s a certain part of your Webinar where you can take care of your potential buyers or potential customers objection even before they get to them. So that’s a section in my Webinar where I would tell people, “hey this is who this Webinar is for, like this Webinar is that for someone who just wants to get rich quick, this Webinars not for someone who doesn’t want to put in the work, this Webinars gonna require some investment”, so I’m actually taking care of objections, because some of those people might think they don’t need to invest in anything, so I took care of that objections. Some other people might think they don’t need to put time it’s just gonna be a get-rich-quick, I take care of that objection, so you can keep adding stack up the list of objection and you kind of take care of the questions that most people are gonna have and you can still open up the line to allow them to ask you questions, so it makes the selling process a lot smoother, because you know exactly what the person’s want and you take care of that factor right away. The 4th reason why people love Webinar is that it’s live the big difference between watching a recording which is disk and a live event is an excitement. When you go to something live, like people love watching basketball games on TV, but there’s a big difference when you go to the live actual game and you sit in the audience, well it’s the same kind of process there is a big difference between watching a recorded game and watching it live when it’s happening on TV. So this like three big step that I just showed you, it’s the same thing, there’s a big difference if you come to one of my marketing events and you meet everybody winner, crowd cheering like people excited that’s a whole next level, and then there’s a big difference when you come to a live event online and you can ask questions live and people are excited, “I’m showing you stuff right now you’re learning, you’re growing, I’m about to implement stuff, I’m about to take action, my life is about a change”, there’s a big difference between that, than watching a video where it’s already been pre-recorded where you don’t get the same kind of emotional attachment to it, so that’s one of the big reason why you should learn how to host Webinars for your business, kind of give people that live connection with you, and when they can ask you stuff and it makes the sales process a lot easier for you.